I saw Gus01 post of a Glue Cup Holder and he inspired me to also make one. Originally I was going to use a piece of pallet timber but instead I spotted an off cut from my Red Ironbark cuboard Raised panels work which has a crack in it, I half expected it to split in two as I worked but it survived. The cups I bought from a “Dollar Shop” Amazon will not ship to Austraila so I will have to wait untill they get set up here soon. Glued in the legs and applied a finish. ( minus the brush holders I am working on them, but the concept is the same. I didnt beat the 15 minutes,.... I think it took me that long to set up pack up and clean up. Look’s good Robert! Anything to make life easier is a good thing! sorry rob but I deal in gallons this would slow me down buddy-LOL. 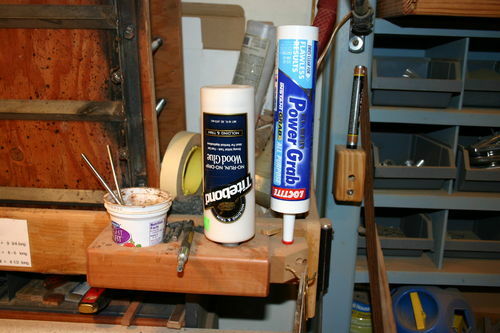 Rob, with the thicker glue that I use, I find that it helps to keep the bottle upside down at my glue table. Putting my brushes in water means I can use the same spreading brush for months. That sure is beautiful wood you are using. Noticed your neat holes and circles and wanted to ask if you might have as much trouble cutting holes with holesaws as I have had in the past. I wanted to quiz you about your knowledge of keifer's post and somehow got carried away creating a long winded post, as I usually finish up doing. ...... Amazon will not ship to Austraila…. Don’t know whether you are aware of it but you can set up a US address and get those restricted things sent there for re-forwarding. This don’t just hold for Amazon but any company that doesn’t ship internationally. They also have a service where they buy on your behalf… Of course there’s a cost, but if you must have it…..
Now talking about no Amazon and “Dollar Shop”... do you have one next door to you to be able come close to bragging about the 15 minutes. My “Dollar Shop” is at least 30 minute drive away (each way), which would blow the 15 minutes target out long before I counted the car start up time. Sorry guys, Missread the ”deal”. 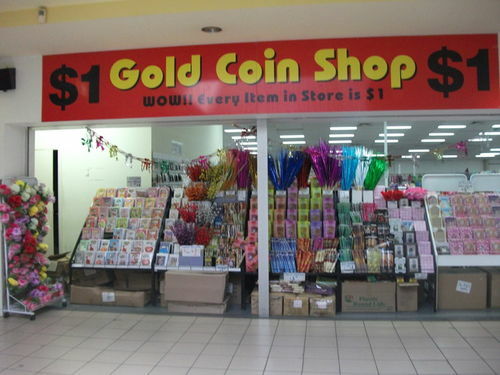 Cannon Hill shopping center is about 10 minutes away and there is this huge shop selling stuff for $1 beats me how they pay the rent let alone make a profit its a oriential concern with at least 2 staff you can find some amazing stuff in there. You did a very nice job on this glue cup holder.